The travel and transport needs of women are different from those of men and women face different constraints. As such, access to transport technologies and services is gendered. However, traditional transport planning and policy interventions and project designs often fail to recognize the gender difference in travel and transport needs. The economic and social benefits of improving women`s access to travel and transport could be very high. The first two articles in the volume consider the strands of development approaches that have been considered in addressing the transport and mobility needs of women, and feminist insights into transport issues involving women. 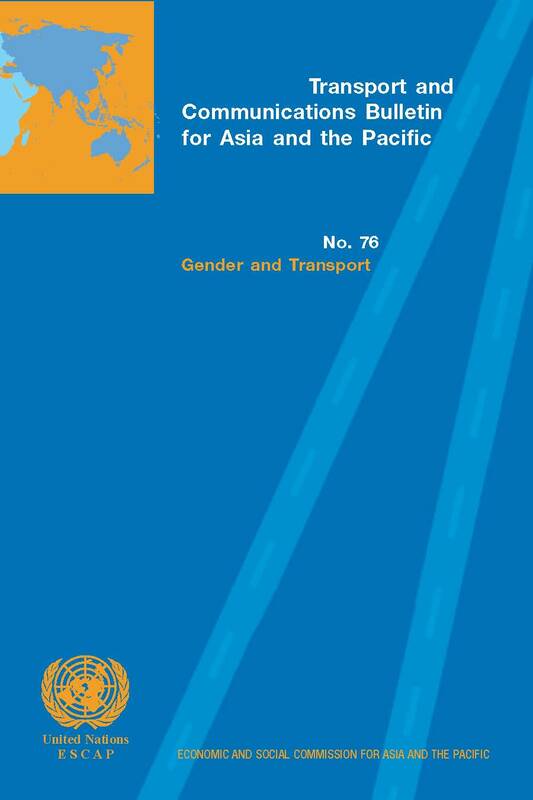 Views on gender issues in transport based on the outcome of research and analytical studies and experiences from a number of countries are shared in the other four articles. They also discuss important policy issues related to gender and transport. Article 6: Gender and political dynamics mediating mobility and access to health services and female reproductive health in rural Nepal - by Kate Molesworth.